So, this happened… I got featured on Design Seeds via my Little girls with great big dreams Instagram page! That’s me! Argh – so so exciting!!! I got featured on design seeds.. But when a dream comes true, that you weren’t even aware of wanting – that is even more exciting. The surprise adds such a fun element! Design seeds has always been website that I adore. 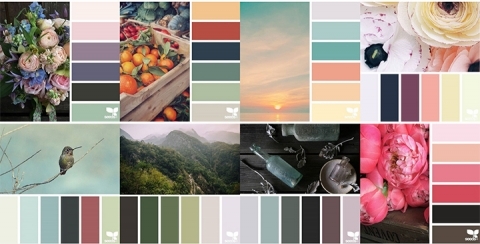 Every time I am working on business branding or a creative project I can easily get lost spending hours looking at colour palettes and browsing their site. 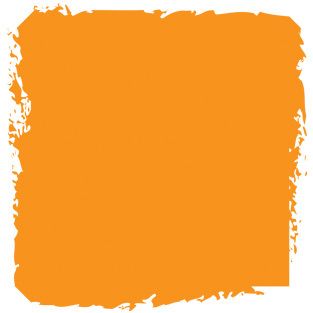 See the proof here on pinterest : colour combo [love] If you look at that board there is a LOT of orange – which is then the direction that my original newborn photography branding for NFE Design went in. Little girls with great big dreams branding was always going to be about pink though! As part of my photography work for Fifi La Femme I often photograph macarons for their social media pages and I have to say that they have to be one of my absolute favourite things to photograph (besides Liana). 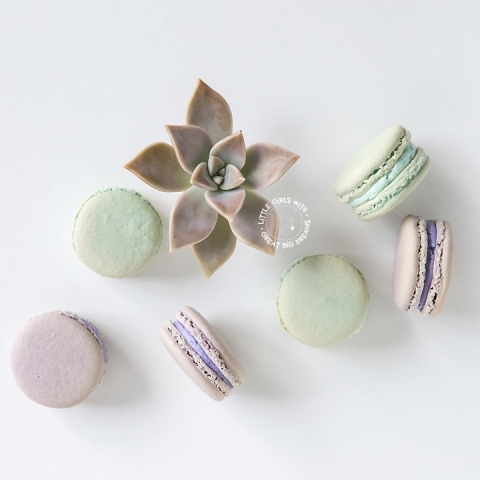 Fun colours, simple and pretty much everyone loves macarons so you cant really go wrong! 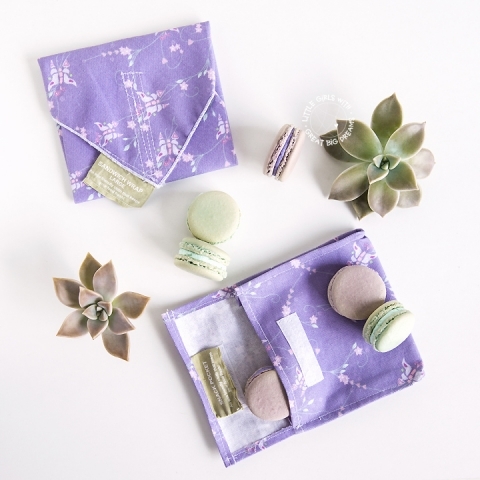 One day I took some pics of macarons, a few re-useable snack bags and a few of Liana’s succulents and posted the shot to instagram. I used a few hashtags and then didn’t think much of it till a comment was left a few days later by Jessica from Design Seeds to ask could I please send her the image. Then not long after that I was tagged in a post – a new colour palette was created from my image. Even though I had never set out with the intention to have one of my images featured on Design Seeds (I am not sure where I thought they got the images from, but it actually never really occurred to me that it was possible, or to try) it was such a lovely surprise to have this happen! 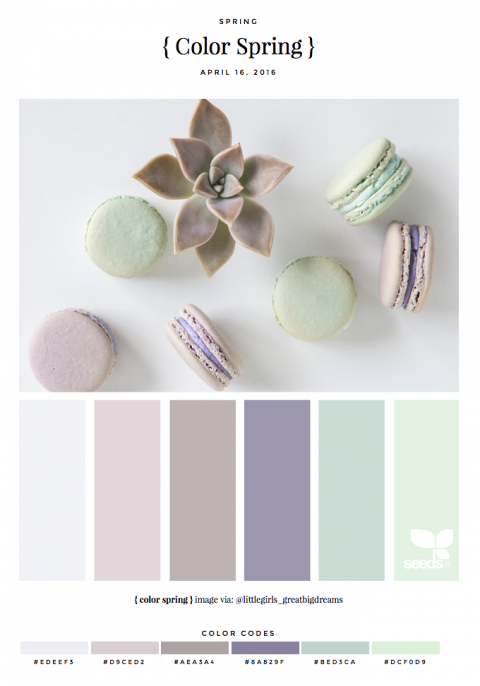 You can check out the original images below… I am wondering what I can now create with this colour palette – the colours definitely all look amazing together! I will also be sure to set this intention to have some more images featured on their site 🙂 Let’s start hashtagging! For those who are wondering : all submissions are accepted exclusively via Instagram. You can submit photos by using the #SeedsColor hashtag. Note: by submitting the photo, you are stating you are copyright owner of the image, & are granting permission for a Seeds palette to be integrated with it to be shared on the Seeds site. Source. « How to take amazing photos of cake!